For Textile Industry Processing Units Stenter chain oils, Moly sprays, High Temperature grease for Fab bearings, Loop steamer bearing greases, Beam dying and Jet dying machine lubricants, "O" Ring and Rubber seal greases etc. 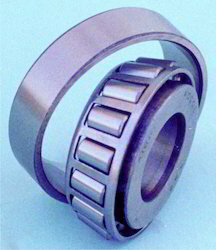 All types of anti-friction ball and roller bearings, sleeve bearings and needle bearings operating under very high speeds and high temperature. For steam joints and submersible pump bearings, water turbines, conveyor systems, electric motors of class “H” insulations. Washing machines, domestic appliances etc. Being Silicone grease it can be used for Food Processing industry. Operates under extremes of speed and temperature. 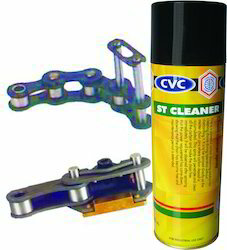 ST-CLEANER is a cleaner for stenter chains and heater tracks of texturizing machines. It is a non-flammable, demoisturizing, carbon removing and safe cleaning agent with low toxicity and high solvent power. 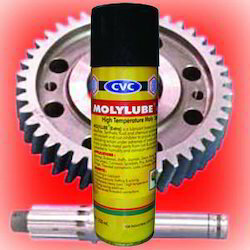 It is ideally suitable for cleaning jammed bearings, threaded connections, dirty chains and open gears, wire ropes etc. It restores electrical continuity on all types of contacts & controls by quickly penetrating surface pores thus removing grease, dirt, oil and oxidation. It will remove oily gummy carbonaceous deposits from any surface, which is contaminated due to oxidation, dirt, dust, fluff and all rust and corrosion. XA-400 is specially blended formulation of complex soap based grease fortified with Molybdenum disulphide and other special additives to meet critical conditions for automotive and industrial applications. It is specially suited for the lubrication of high speed, high temperature, ball and roller bearings, needle bearings, plain bearing, king pins, ball joints, linkages etc. under operating temperature and environmental adverse conditions such as heavy loads, corrosion and dusty atmosphere. It is a highly adhesive, friction reducing extreme temperature/ load, water repellent multipurpose grease suitable for a wide variety of industrial applications. Applications:For Ball and Roller bearings operating under high speed and high temperature, kingpins, Ball joints, Gears, Linkages, Speed reducers, Splines, Stenter fan bearings, etc. Heavy duty / High temperature grease. Operates effectively under adverse conditions. 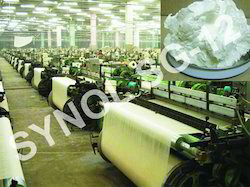 Looking for Textile Process Industry ?